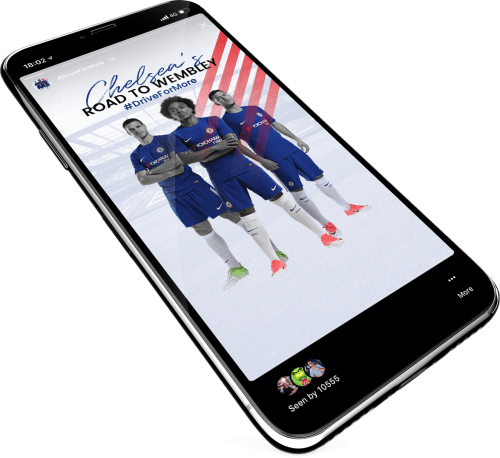 WePlay have been working with Yokohama Tyres, official shirt partner of Chelsea Football Club as their Digital and Social Media Agency since 2015. WePlay were briefed with building a brand around the Yokohama Tyres and Chelsea FC partnership. Focusing on social media, the core objective is to reach a global audience and tell the Yokohama story through the lens of football. With a strategy to engage Yokohama’s 14 key markets, WePlay utilise a blend of creative and digital marketing, to develop social-first content and distribute through owned and paid channels. Having worked with Yokohama Tyres since 2015, WePlay have grown Yokohama’s football brand to a reach of 302m, with a follower base of over 450,000 fans. Our content strategy supports the brand and audience growth and our content engagement rate is 140% above the industry standard. WePlay have also helped Yokohama to surpass competitor brands in the tyre industry and to now be the 3rd most followed company in their category. "Our deal with Chelsea FC is a key part of our plans to raise our global profile and WePlay will be fundamental to our efforts to promote this relationship."